Talk about timing! 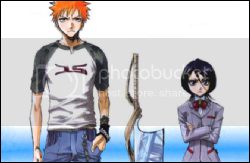 I've just gotten into BLEACH, due to the incredible pimping skills of lynnmonster, anime goddess. 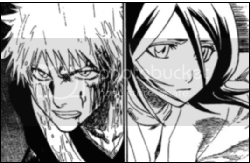 Though I've only seen up to episode 27, I don't mind the spoilers here and I adore the case you make for Ichigo/Rukia, two characters I absolutely adore. 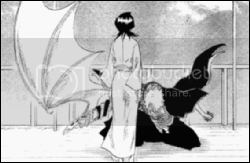 In fact, Rukia is one of the few female anime characters I actually like. So, go you! And thanks! This will be bookmarked, I assure you.